In a well organized essay, explain how the author conveys his meaning. Be sure to consider structure, diction, setting, and point of view. Above is the prompt I used when I taught Advanced Placement English Literature (APLit) for all kinds of literature. This was before the Common Core’s “close reading” dictums; APLit students read and looked for author style and purpose because that was the focus of the course. 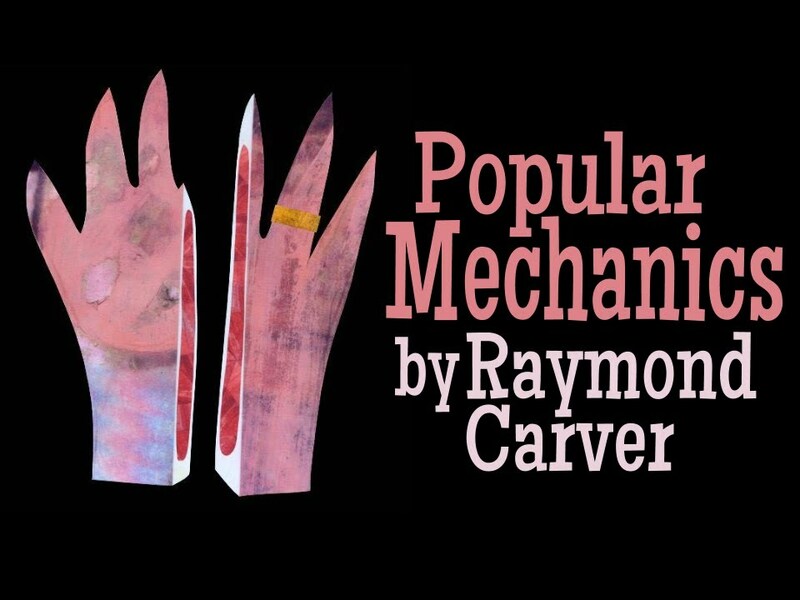 Tonight (2/22) there is a Twitter Chat #aplitchat on Raymond Carver’s short story “Popular Mechanics”; across the nation, APLit teachers will contribute their ideas on how to guide students through this particular dark story. I am trapped here in CT under another 7″ of snow, and while I wait to be dug out, here is an explanation of how my students wrote about this story. When I passed out the copies,my students were, at first, delighted to see its brevity; the entire story is under 500 words. I would watch my students as they silently read. As they would finish in unison, their heads would snap up in shock. No surprise that Carver’s story generated strong responses by all of my students. My next step in pre-writing would be to share some supporting information. One year I gave the students the Biblical story of King Solomon to contrast the behavior of the mothers in each. Every year, I provided the definition of the word issue, the key linking the concluding sentence and the title. Here are some of the possible means of issue with connections to the story. to go, pass, or flow out; come forth; emerge. My students would reread the story, take notes, and spend several minutes of peer-to-peer discussions in groups. They would share how Carver’s structure, diction, setting, and point of view contributed to their understanding. After the discussions, I would ask them to draft a response using the standard prompt above. Finally Carver uses these simple but revealing details about his characters to keep his story interesting and detailed but also very concise. The story starts in a bedroom, a place they probably consecrated their marriage but he is now tearing apart by leaving. We then switch to the doorway of the kitchen, paralleling her change in emotion. The kitchen is typically a place of family and love. Carver uses words and phrases such as “Bring that back” and “I want the baby” (Carver). The use of very simple, short words provides a more aggressive, hard-hitting tone. Carver’s sentence construction is very mechanical and rhythmic, which furthers Carver’s theory that the inner workings of a marriage and a family can be broken down into a mechanized object where basic laws of physics can be applied. As these excerpts from essay illustrate, Carver’s terse dialogue and minimal details helped my students appreciate the link between an author’s style and his or her purpose. Students enjoyed “Popular Mechanics” and at the end of the school year, they would always mark it a story that made them think about an author’s choices in writing a story. I was fortunate to have 90 minute block periods to do this lesson in one sitting, but the lesson can be spread over two sessions or truncated to fit into a 45 minute block organized as 15 minutes of reading and discussion and 30 minutes of writing. Good luck, #APLitchat on your discussion, and may all issues on responses to this story be resolved! Why Not Teach to the Advanced Placement Test? The recent invitation to respond to the statement “Don’t Teach the Test” was under discussion in the New York Times: Invitation to a Dialogue series. The question was posed by Peter Schmidt, the director of studies at Gill St. Bernard’s School, and he singled out two tests in particular: the SAT and the Advanced Placement Tests. Full disclosure: I teach Advanced Placement English Literature, and I have served as an A.P. Reader. That said, I believe Schmidt is right about the pressure the testing for these courses places on students. I agree that these students are exhausted the first two weeks of May since students who take A.P. 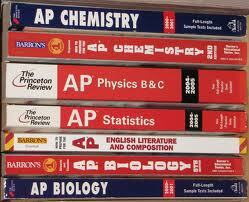 courses often take more than one A.P. class. Many students are scheduled for two separate tests on the same day. But as to his assessment that the A.P. courses do not prepare students for college level work, I must respectfully disagree. Students who take A.P. courses recognize that they may or may not receive college credit for the course. College credit is given based on a student’s test score (minimum a level “3” on the A.P. English Language or Literature) and the willingness of the college to accept that score in lieu of an undergraduate course. As a result, there are no guarantees of college credit in an A.P. class; however, colleges do look to see if students are taking A.P. classes as an indication of their academic ambitions. The A.P. exams in all subject areas are a mix of multiple choice questions and essay responses questions. In the A.P. English Literature exam, there are 55 challenging questions on five or six literature selections. Students need a command of vocabulary and the ability to “close read”, a skill that was the hallmark of A.P. courses long before the Common Core State Standards. But the most demanding part of the AP English Literature exam is the essay section where students write three essays in response to three prompts in two hours. My students practice writing to these prompts throughout the school year. They learn to read, annotate, and draft quickly, but Schmidt raises a good question. Does the A.P. test prepare students for college? In responding to Schmidt’s concern, I have thought about how my student’s responses to the essay test questions are not the only measure for determining student understanding. A good A.P. course incorporates the practice of revising drafts written for a practice test. There is always a gem of an idea in these hasty constructions. There is always some hypothesis that student will discover as he or she “writes into” the prompt, something I have previously referred to as a “manifesto in the muck.” A good A.P. course provides a student with the chance to take that essay draft, and expand and revise. A good A.P. course gives students the chance to start again with the end of the draft in order to begin a better essay. Schmidt complains about “the lack of imagination and creativity” that “are the cornerstones of genuine learning,”but these generalizations are not true. I know first-hand that there is nothing to stop a student’s imagination or creativity in responding to a work of literature in an A.P. course. Some of the most amazing statements or ideas I have read have come from students undergoing the intellectual crucible of writing an organized essay in under 40 minutes. 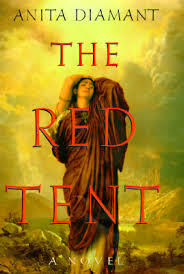 In reading these practice drafts, some ripe with grammatical errors and misspellings, I will pause with my red pen suspended, repeating to myself, “First do no harm”, as I leave a draft untouched. A.P. advises instructors to “reward the student for what they do well”, even on a practice test. There are too many reasons to not like the standardized tests that are choking education today; the limited data that standardized testing yields is often not worth the time and expense. Frankly, I am no fan of the College Board. The limitations of the A.P. test, however, does not mean that an A.P. course is not valuable. The A.P. test, like all standardized tests, is a single metric measure, but an A.P. course is a much broader experience. So, yes, I teach to the test, but I also teach the A.P. course as a preparation for the rigors of college level work, and in particular, I teach the course so that my students will have the option to waive a 100 level composition class giving them the option to take a course in their major field of study. I would argue that my A.P. class is the only place in my curriculum where I can offer the writings of E.M Forster, if for no other reason than to see how students would respond to that literary prompt. I know that in their responses, there could be one from a student who, writing under intense pressure, could draft a sentence or two that would reveal a “kindle of light within.” Whether that student response would be in a test booklet written during the A.P. test or not does not matter.